Larnaca, built on the ruins of Kition (a 13th Century town), is located on the south-east coast of Cyprus. It is a reasonably large town, with a harbour, sandy beaches, and a promenade lined with palm trees that stretches along the seafront. The climate in Larnaca is typically Mediterranean and, due to its location, can work be one of the hottest parts of the region during the summer. Summers are hot and dry (they can be completely rainless from May - mid-September). There are many tourist attractions in Larnaca. Larnaca Fort and Castle was built to defend the Cyprus coast but is now a museum and open-air theatre. Other attractions with histroical significance include Kamares Aqueduct, built back in 1747, Catacomb of Phaneromeni Church, build in the 8th Century, and Church of St Lazarus, built in the 9th Century. 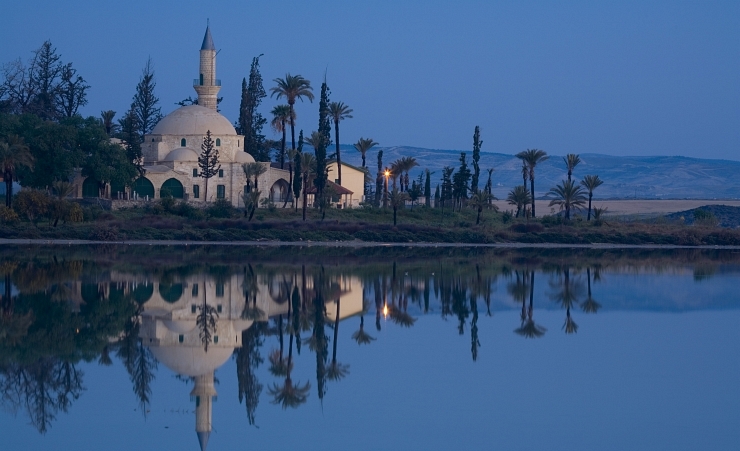 For nature-lovers, check out Larnaca Salt Lake. Made up of four different salt lakes, together they create one of the most distinctive landmarks in Larnaca which is home to almost 100 different species of water birds. Visit the Turkish Quarter for a taste of traditional whitewashed cottages and traditional architecture and take a trip to Lefkara Village for quant cafes and a lesson in lace production. With all the different beaches in Larnaca, there’ll be one for everyone to enjoy. 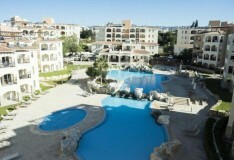 - Finikoudes – This beach has sunbeds available to hire and watersports to take part in. There are numerous cafes, bars and restaurants on the promenade to keep you entertained all day. - Kastella - Only a 15-minute walk from the town centre, this is a small beach with calm water perfect for swimming and fine sand to spend the day lounging on. - Mackenzie - Located next to the airport, you can see planes landing and taking off from the sand and see. This beach also has watersports including diving and windsurfing. 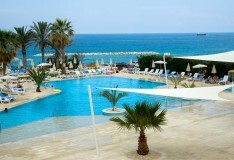 - Dhekelia - The longest stretch of sandy beach in Larnaca, this beach is found where most of the hotels are located. - Alaminos - A hidden gem of a beach, you have to go off the tracks to find it. - Kiti - A sandy beach where the loggerhead turtles lay their eggs. While on a Larnaca holiday, you must make time to experience some of the fantastic history and culture which can be found in this area of the island, including religious shrines, churches, military forts and museums, not to mention the traditional villages located outside the town. - Gefseis en Lefko - A tavern along the shoreline serving metropolitan Greek cuisine. - Stou Roushia - Found in the market lanes of old town Larnaca. - Mpoukia kai Ghoulia - The only place to serve meze for one in an old-fashioned setting. Nightlife in Larnaca has a bit of everything, from bars like the Blue Pine Bar serving the best liqueurs in town to Seagull Bar on the coastline. You can also find nightclubs and live music in the Old Town. Larnaca is famous for windsurfing, so it’s the place to go for an adrenaline rush. There are numerous other activities to take part in on the beach. Just take a stroll down the coastline to see all of your options. Larnaca has its own international airport to fly in and out of for your holiday. But, when you arrive, public transport is limited to buses so renting a car may be necessary if you’re wanting to explore more of the area.